Create a truly personalised gift with one these stylish glass frames. 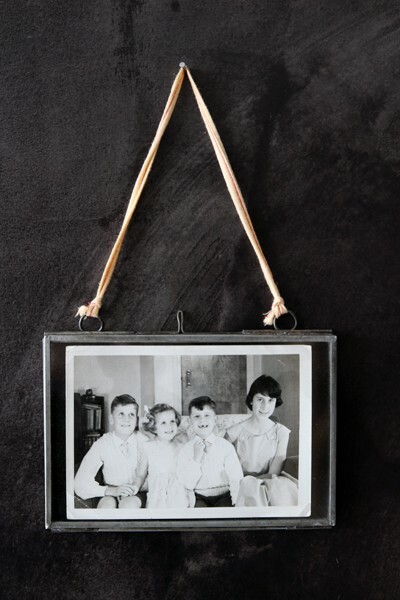 The glass front and back make them not only great for photographs but also a fantastic way to display other precious keepsakes, like postcards, concert tickets and drawings. They look great grouped together in an assortment of sizes and orientations. Each frame is strung with a recycled sari tie. Ties vary in colour. Glass Picture Frame - Landscape - 4 x 6 inch - Please note that the cord on the frame may vary in colour.